Five times per year, the UBC Board of Governors (BoG) meets to discuss issues of money, property, policy and people. As your student representatives on the BoG, we are here to keep you in the loop with what is up at Board — but if you ever want to learn more, you can check out the BoG website for full dockets, agendas and documents! Here are the cliffnotes for the upcoming February meeting, which will be teleconferenced on February 12 at bog.ubc.ca due to weather conditions. Fiona MacFarlane will be recognized for her years of service on the Board of Governors and her leadership of the Employee Relations Committee. We wish her best in the future and will miss her voice on the Board. We are pleased to welcome the newly-appointed Jessie Dusang to the Board of Governors and look forward to working with him. There is a motion to increase the spend rate of the Sustainable Futures Pool (SFP) from 3.5 per cent to 3.75 per cent. The main endowment has a spend rate of 4 per cent, so the SFP has been perceived as less attractive to prospective donors. The intention is to eventually equalize the SFP and main rates — but as the fund is smaller and more volatile, this is a first step. The Board will consider the approval of the revised Policy 15. This includes a number of changes, such as the inclusion of “vaping” — which has garnered its own definition! — and the equal treatment for smoking cannabis and tobacco. The consumption of cannabis edibles is not covered by this policy. More changes in relation to implementation — such as amendments to student resident contracts and designated smoking areas — will happen if the policy is approved. The People, Community & International Committee will receive an update on the Athletics and Recreation strategic frameworks and their integration. This includes the GamePlan, the Strategic Framework for Athletics and the Strategic Framework for Recreation. They include an analysis of the costs of the programs and investments UBC has made. The People, Community & International Committee will receive a presentation on first-year orientations including investments and changes that have been made to programs like Jump Start, Collegia, Residence Life and Imagine Day. The People, Community & International Committee will receive an update on diversity data from the Undergraduate Experience Survey. This policy has been under review for quite some time — and it is finally on the docket for approval. The intention of these changes are to provide clarity to Board processes: what happens in public and what happens in private, and why. The full Board meeting will include a discussion about the direction of UBC Okanagan. The school’s Deputy Vice Chancellor has presented a strategic plan called “Okanagan 2040” and is asking the Board to endorse it. The open Board of Governors meetings will be April 2 for committee meetings and April 18 for Board meeting. 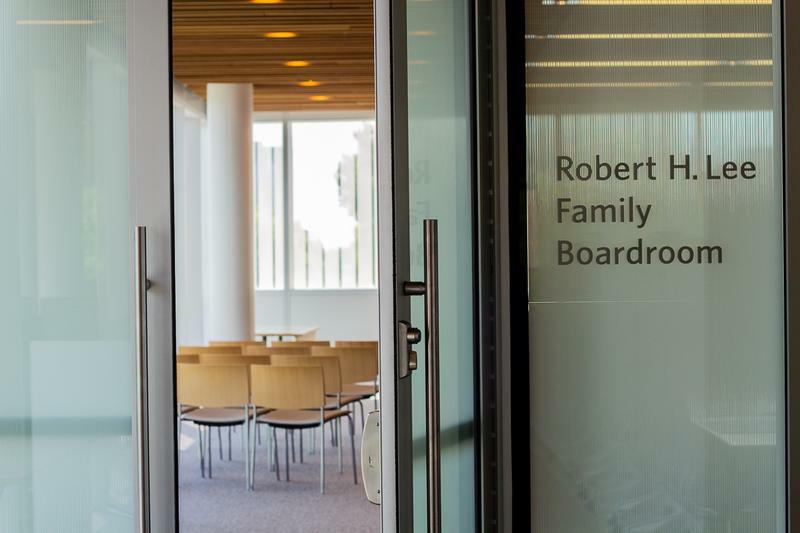 Both Committees and Board primarily consist of open sessions that members of the UBC community are welcome to attend — you can view agendas here. Or if you can’t attend, you can always follow @UbysseyNews for the play by play. Jeanie Malone is one of the student representatives on the UBC Board of Governors for the 2018/19 year.